Orissa India is an Eastern India State with a Vast Coastline. Orissa, or Odisha, India, is one of India’s eastern coastal states, located near the Bay of Bengal. It’s India’s ninth largest state by area and the eleventh largest in terms of population; India’s 2011 census found the population here to be 41,947,358, with slightly more men than women. The state’s coastline is about 480 kilometers long and its largest ethnic group is the native Oriya Tribe. About 75% of the people living in the state speak Oriya, others speak Bengali, Hindi, Telugu, English, Santali or a combination of these languages. Orissa has five geographical regions; its eastern coastal plains, where most people live; the central mountain highlands, featuring Deomali Peak, the state’s highest point at 900 meters high; the central plateaus, the rolling uplands and the major flood plains. Orissa has four river groups that flow into the Bay of Bengal. The Subarnarekha, Brahmani, IB and Mahanadi Rivers originate outside the state; the Budhabalanga, Baitarani, Salandi, and Rushikulya originate inside the state; the Bahuda, Vamsadhara, and Nagavali originate here, but run through other states before reaching the bay and the smaller subsidiary rivers Machkund, Sileru, Kolab and Indravati. Most of these are attached to gorgeous waterfalls! The state also sports mountain springs, hot-springs and large lakes. In ancient times, this state was occupied by various primitive groups of people and several prehistoric sites have been found in the state. All in all, Orissa’s history spans more than 5,000 years! Over time, the name of the states, its districts and its borders have been changed and modified; the state is also known as Odisha. Its culture was influenced by the cultures and traditions of the tribal people for the most part, but Brahmanism spread southward during India's Vedic Age and changed the state’s culture forever. It was during this time that Hinduism was introduced to the indigenous tribes. A bloody war known as the Kalinga War was fought here in 261 BC. The great conquering Mauryan Emperor named Ashoka launched a bloody military campaign throughout the region in order to take more land under his power, but he underestimated the strength of the state's army, at that time known as the Kalingan army. The state’s army fought Ashoka so well that he barely retained a presence in the region at all. Ashoka spread Buddhism all over Asia, but this state was hardly touched by Ashoka. In 3rd century BC, the eastern coastal region was ruled by an emperor known as Jaina; the area flourished during his rule and he built the famous Udayagiri and Khandagiri Caves. The region was later ruled by a series of Hindu kingdoms. 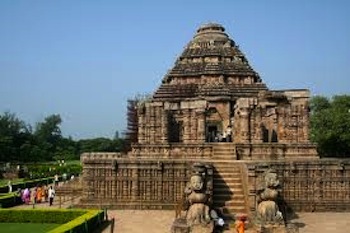 Many of these subsequent kingdoms and rulers built landmark temples in the region such as the Lingaraja temple in Bhubaneshwar and the Konark Sun Temple; these temples are now historical sites that are mostly in ruins. In 1566, the state's last Hindu Emperor was defeated in battle when Mughals (descendants of the Timurids and Genghis Khan), conquered the coastal region. The British occupied the region for awhile, causing military conflicts that shifted the regions borders multiple times. Modern day Bihar and Orissa were split and this state was made an official province on April 1, 1936. After India gained its independence, it gained more land, effectively doubling in size, and in 1950, it became a state in the Union of India. The state has a strong economy because it has a lot of natural resources and a coastal port for trade. The state produces coal, bauxite, iron, chromite, aluminum and does heavy steel manufacturing. It also makes money in the transportation sector, through oil refineries and IT services. An interesting fact is that 20% of India’s coal, 25% of its iron, 33% of its bauxite and almost all of its chromite comes from here! The state also houses large business office for some of India’s largest corporations such as Tata Consulting Services, Mahindra Satyam, MindTree Consulting, PricewaterhouseCoopers and Infosys. The state houses many higher learning institutions! Biju Patnaik University of Technology, Berhampur University, C. V. Raman College of Engineering and Central University of Orissa are just a few off of the list. Technology and engineering specialty schools make up the bulk of higher learning in the state. The state’s most popular religions are Hinduism, Sikhism, Buddhism, Christianity and Jainism. Almost 95% of the population is Hindu, clearly making it the dominant religion here. The food dishes eaten by the Orissan people are pretty well balanced between vegetarian and non-vegetarian cooking. Fish and shellfish are a big staple in the diet of many because of the vast coastline. There is a lot to see when visiting Orissa! The temples of Lingaraja at Bhubaneshwar, Jagannath at Puri and the Sun at Konark are rated as must see sites. 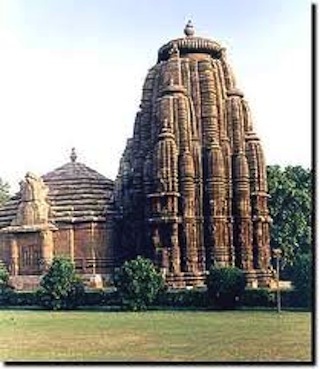 The Lingaraj temple has a 150-foot high deul and the Jagannath’s is about 200 feet tall, while the Sun Temple is the largest temple in the region today! All sorts of interesting 13th century Buddhist relics can be viewed at the hill-top of the Udayagiri and Khandagiri Caves, which in themselves are a top-rated regional destination. The Olive Ridley Sea Turtles can be seen in the Gahirmatha turtle sanctuary and the Sunabeda Wildlife Sanctuary are just a few of the top tourist picks when visiting. Of course, Orissa has a huge coastline with some of the world’s most beautiful beaches too! Leave Orissa to discover other states of India. Discover what it's like in India today! Visit our homepage to continue exploring India.